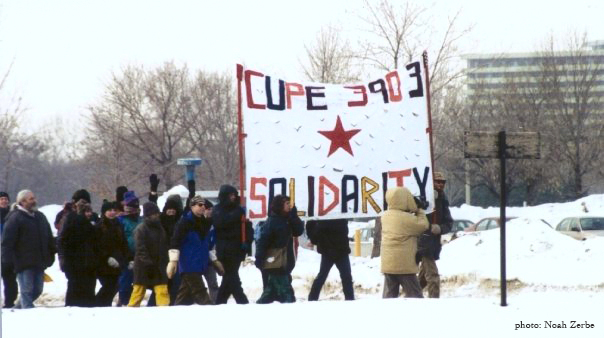 It’s seven in the morning on a bitter day in late November 2000 and I’m walking a picket line at York University on the outskirts of Toronto with my friend John Saul. I remember the snow squeaking, it was that cold. Looking back, all the marches and demos I’ve been on in Canada seem to have been in winter, though that can’t be entirely true. And it’s not as if marches were a big part of my life in Toronto, but around the time I moved there in the nineties there was a lot going on in the world to protest about (unfortunately there still is). I remember the marches with affection because I met some great people on them. I’ve had some wonderful cultural experiences in Toronto. A brilliant exhibition of modern ceramics at the Gardiner Museum introduced me to an art form I had failed to appreciate properly before. 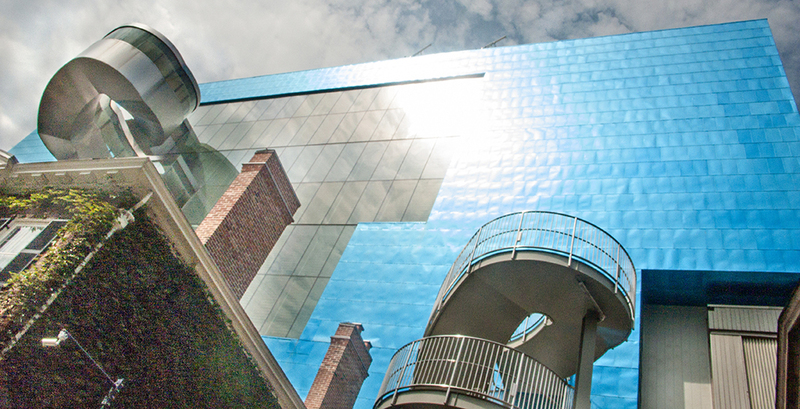 Frank Gehry’s transformation of the Art Gallery of Ontario made it exciting in a way that sets it apart from most other comparable public collections I have seen. And so on. But what I really liked best about Toronto was the people – the basic courtesy and lack of pretension and can-do attitude I encountered everywhere in daily life, and came to take for granted. It’s a cliché, I know, but when you don’t have it you really miss it. I lived off and on in Toronto for ten years. The ‘off’ periods were spent in London, England where I took on some new research. Eventually the work took up more and more of my time and I settled back in London, where I had also spent some of my teenage years. On a good day London gives me a real buzz. Some bits of 18th century London remain, now gentrified and a bit precious, but beautiful; and there are miles and miles of handsome late Georgian and early Victorian houses, amazing parks and museums and theatres and concert halls, and splendid government buildings and monuments to generals and colonial governors, and interesting loot from the empire, such as Cleopatra’s Needle. 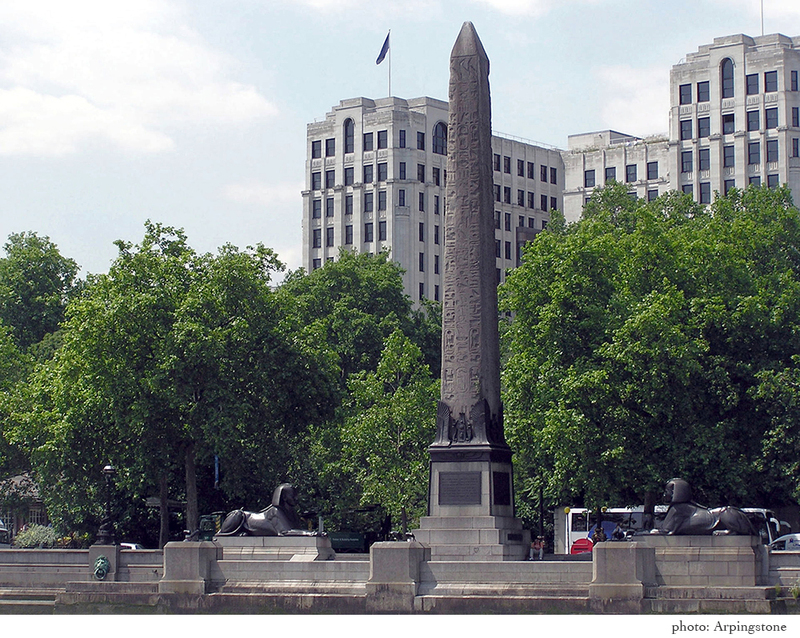 Cleopatra’s Needle is the affectionate nickname of an ancient 21 metre-high obelisk that was ‘given’ to the British by the ruler of Egypt in 1819. It was eventually towed from Alexandria to London and erected on the new Thames embankment near Charing Cross in 1877. A time capsule was buried underneath it, containing “a set of 12 photographs of the best looking English women of the day, a box of hairpins, a box of cigars, several tobacco pipes, a set of imperial weights, a baby’s bottle, some children’s toys, a shilling razor, a hydraulic jack and some samples of the cable used in its erection, a 3-foot bronze model of the monument, a complete set of British coins, a rupee, a portrait of Queen Victoria, a translation of the inscriptions on the obelisk, copies of the Bible in several languages, a map of London and copies of 10 daily newspapers”. Every big city should really have an imperial past! On a bad day London seems simply tiring, because it’s always crowded and the infrastructure is chronically at breaking point. To get to work in the rush hour means waiting in the rain while several buses go past without stopping, because they’re already full, and then standing on a packed underground train platform while several trains come and go until your layer of the crowd eventually reaches the edge of the platform, allowing you to finally push your way into a train. Then you stand pressed tight against everyone else for the next 20 or 30 minutes. It’s not for sissies. But there are good days, when the sun shines (sometimes it does) and you stroll in a park or along the south bank of the Thames and seem to hear every language in the world spoken. It’s a cosmopolitan place, rich in the world’s cultures. Of course central London is full of foreign tourists, but 40 percent of resident Londoners have been born outside the U.K. and the proportion is rising. In this respect it’s like Toronto. When I moved to Toronto in the nineties I was told that over 50 percent of Torontonians had been born outside Canada (this was an exaggeration, but no matter). Someone in London asked me if I felt I belonged to Toronto and I said no, I felt Toronto belonged to me. It never made me feel like a newcomer. London isn’t as welcoming, but that too is bound to change. The British military recently acknowledged that public support for foreign wars is weakening, since more and more people come from the countries involved in these wars. That also reminded me of Toronto. But in practical matters there is no contest: Toronto is infinitely superior. Old countries have old customs. Some of them may be quaint and charming, but each type of organization tends to have its own way of doing things and if you need to do business with one of them – a bank, for example, or the water or gas company, or the tax authorities – you can waste a lot of time making frustrating mistakes before you figure out how it works. A country like Canada, based from the outset on large-scale immigration, doesn’t have time for that. Things tend to be more standardized. You go to the window on the right and get a form, then to the window in the middle and get it checked, and then to a window on the left where you pay, and that’s it. I used to fly back to Toronto with a list of things I needed to do that would have taken me several days to do in London, and find I had finished all of them by lunchtime on the first day. On top of this, in London the class system works against you. 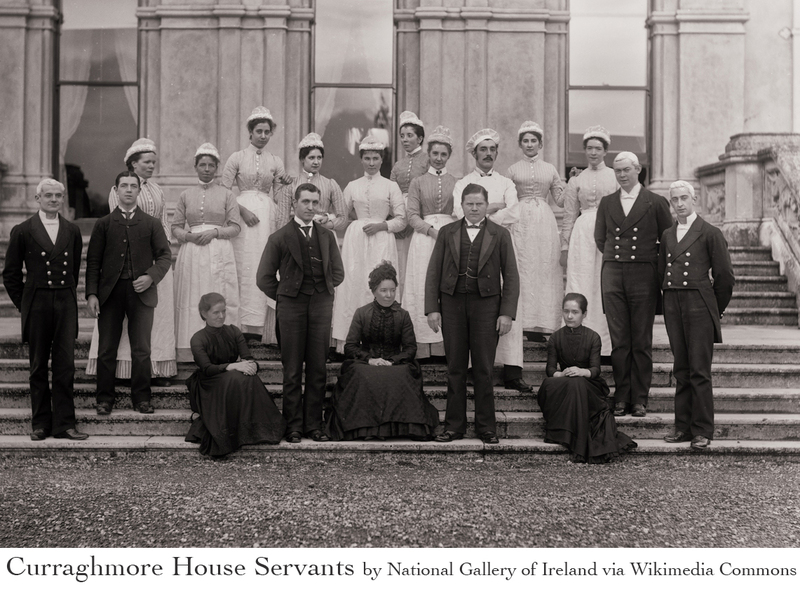 A long history of being treated as inferiors has given the British working class a deep dislike of serving. At the beginning of the 20th century there were a million workers (mostly women) in domestic service alone. Servants were supposed to know their place and learn from the servants above them how to serve the ruling class. Now all that is gone, but a lot of employers in the service sector haven’t recognized that good service now depends on good training – and on service work being respected. Many years ago a friend I was having lunch with in Toronto called out to a waiter “Sir, could we please have some more water?” The idea of calling a waiter ‘sir’ was an eye-opener to me – but it goes with having a service workforce that feels equal. In London it’s still relatively unusual to find British service staff (immigrant staff are often different) who have been well trained to do their job and take pleasure in doing it. There’s a long-running TV comedy show called “Little Britain” in which a character at a reception desk loves to inform despairing members of the public: “Computer says no.” Which is funny precisely because there’s an absurd element of truth in it. Yet I like living in London. It’s undeniably impressive and diverse and exciting. All the same, on some days I think how nice it would be to walk along Bloor Street on my way to meet a friend at any of ten good restaurants, or to see a new movie in one of the world’s greatest film cities. 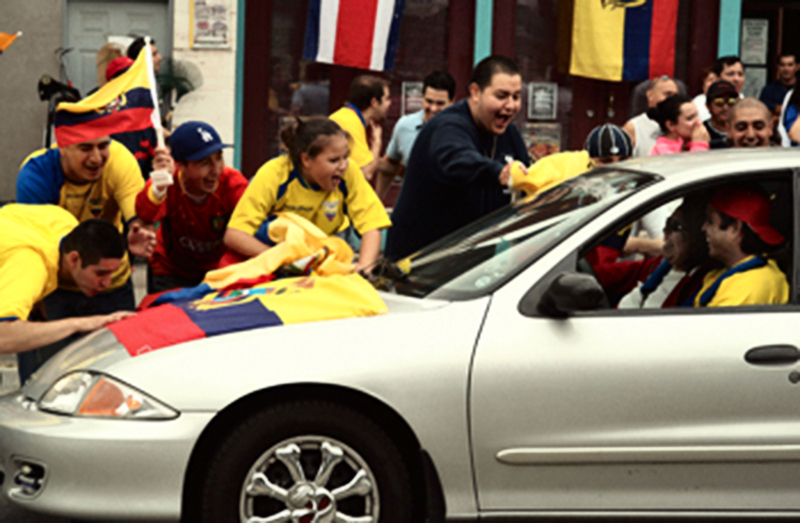 Or to watch a stream of cars going by, honking their horns to celebrate a soccer victory by Korea or Italy or Spain or… (fill in as required). Or just to be buying some hiking boots from the young enthusiasts at Mountain Equipment Co-op, or some shoes from the real gent who sells them at the Bay. Colin Leys is a retired professor of political studies at Queen’s University in Kingston, Ontario and an honorary research professor at Goldsmiths, University of London. His current preoccupation is the fight to preserve publicly-funded and publicly-provided health care. 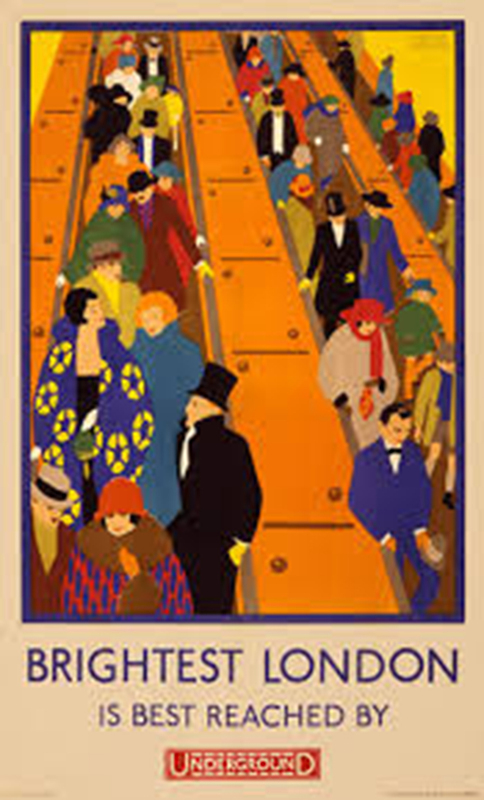 Tags: imperial past, overcrowded transit, picket lines, the class system, world cup celebrations in Toronto. Bookmark the permalink.